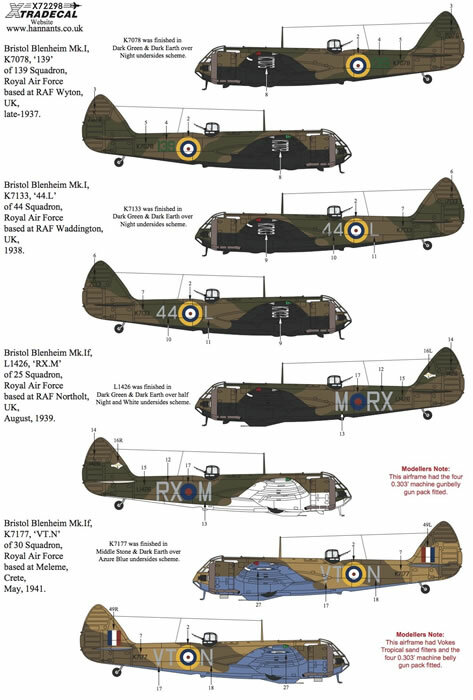 A high quality decal release for the Airfix 1/72 scale Blenheim Mk.I family. 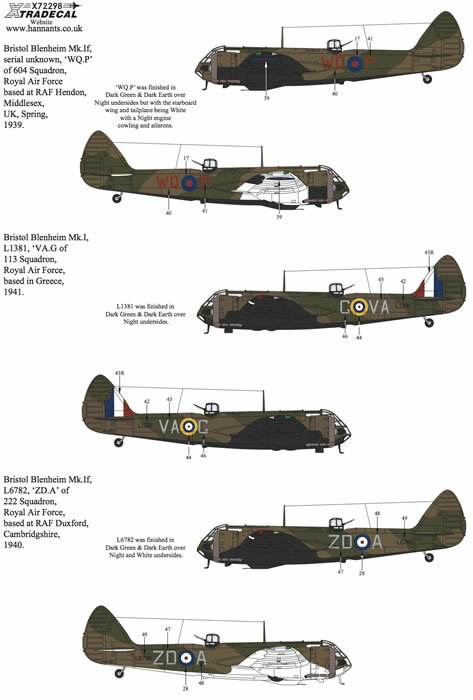 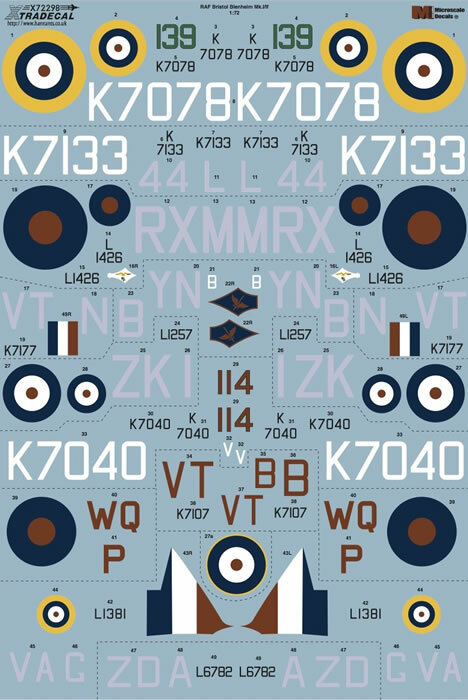 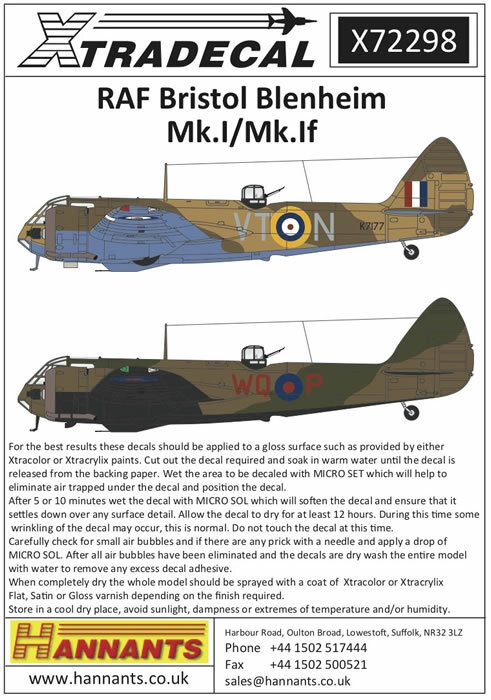 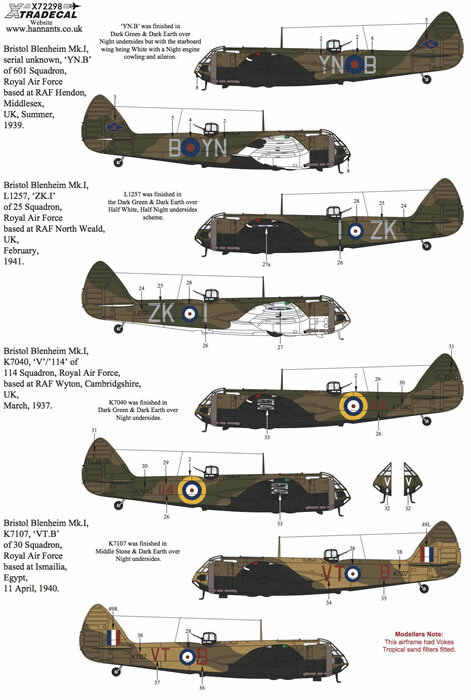 Xtradecal has released another new 1/72 scale decal set with a whopping 11 options for the very nice Airfix Blenheim kits. 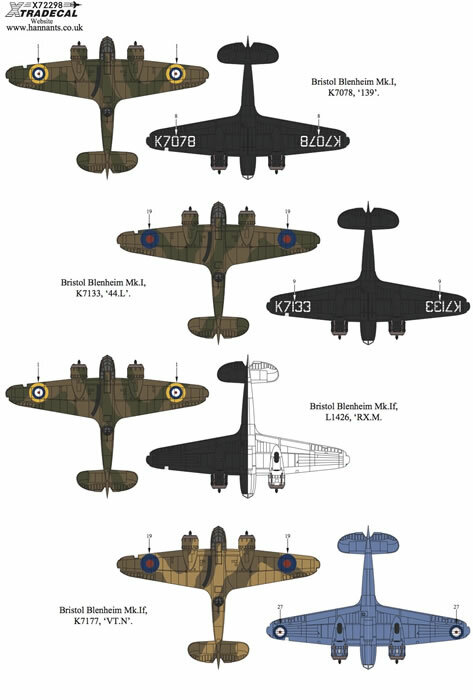 This latest offering covers the Blenheim Mk.I and Mk.If. 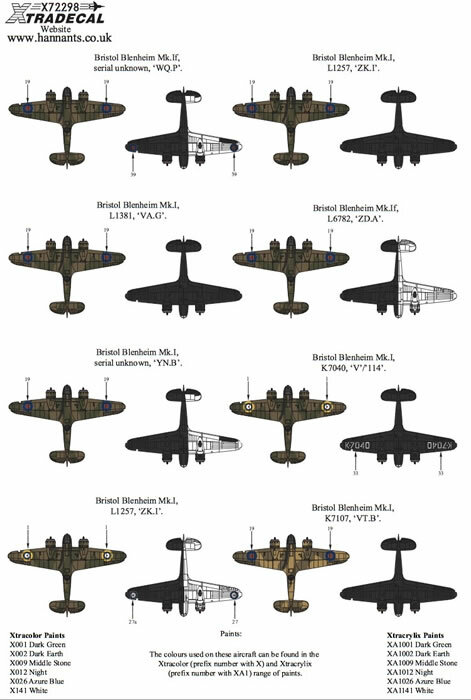 Instructions for the decal sheet are in full colour across two folded double-sided A4 and one A5 sheets.